March Open House – Welcome to St. Mark's Preschool! Open House Tuesday March 27, 2018 from 2pm tp 5pm. Come see what we are all about, and bring the kids. Feel free to stop by for a mini tour. We desire for your child to grow and develop in a safe and nurturing environment, in which the love of Christ is not a theory but an experience. We offer two-day, three-day, four-day and five-day preschool classes. We offer A.M classes which is from 9am to 11:30 am and P.M classes from 12:30pm to 3:00pm. 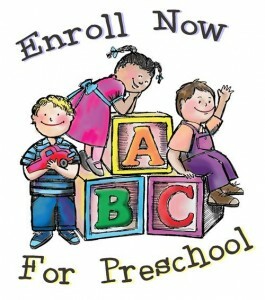 For more information call us today at 585-334-4130 or visit us online at www.preschool.saintmarkslutheran.org. We look forward to meeting you!